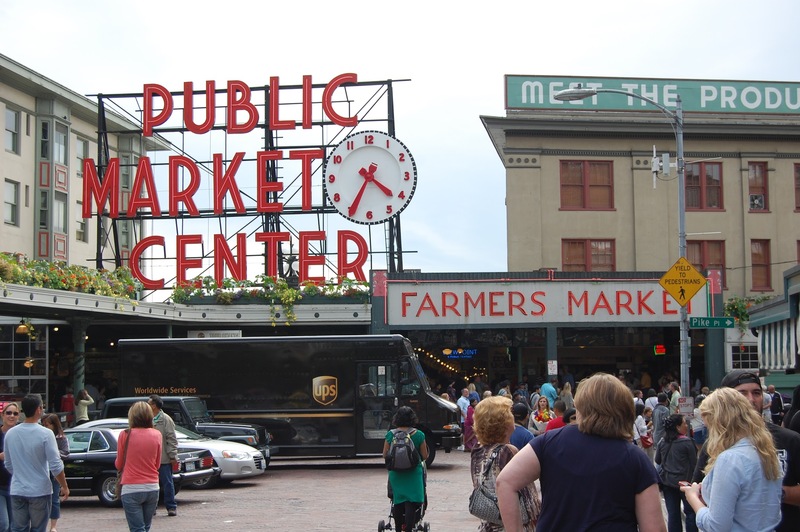 When you live in Seattle — visiting Pike Place Market is both something to look forward to and dread. The market, which has been in existence since 1907, carries practically everything you can think of. You can buy fresh flowers, produce, fish and then also pick up a German newspaper, some African deck chairs and a used copy of “Atlas Shrugged,” if you so desire. Pike Place is full of nooks and crannies and no matter how many times you visit — there is always something new to discover. So, why do we locals dread the market? Because it is probably the most visited place in Seattle and is constantly overcrowded with tourists. Therefore, when out-of-town friends want to visit the market; I always advise them to go early, go hungry and bring cash. Get to the market around 10:30 a.m. or 11 a.m. Most of the vendors at the market have set up by that point but the market has not begun to get crowded. Saturdays are the absolutely worse time to go. I recommend going sometime during the work week. Don’t stop for food before heading for the market! There are so many amazing food stalls and restaurants to stop at. Some of my favorite places for pastries are Piroshky Piroshky (a Russian style bakery) and Le Panier. Piroshky Piroshky is a tiny in and out place that is often crowded but everything here is delicious! Some memorable items are their oven-baked apple with sweet cream cheese and their Oskar Star. Le Panier is the resident French bakery and serves as an actual cafe where you can sit and have a cup of coffee or tea with homemade macaroons and chocolate eclairs. For a quick bite, I like heading to the Michou Deli where you can pick up a panini or salad made with market fresh ingredients. Mee Sum Pastry is a Chinese dumpling and pastry shop that offers the perfect lunch to eat while you walk. Their bbq pork dumpling is incredible! Bringing cash is not as big of a deal as it used to be due to the fact that many vendors can use their smartphones to make credit card transactions. But, I still recommend it because as a hustling and bustling place — cash keeps things moving quickly. Try and get cash before you make it to the market. I have seen a grand total of three cash machines in the market and they charge huge fees! On the big draws of the market…. The Market Theatre Gum Wall is a popular place to stop and gander. Be aware that this is an area constantly swarmed by people taking photos and it’s not uncommon to see couples there getting their engagement photos done. This is another good reason to get to the market early if you wish to have an unencumbered photo session. The Flying Fish is always a popular place to be. The world famous fishmongers throw a fish every hour or so and are entertaining to watch. The first Starbucks is also located at the market. However, it is a major tourist trap and there is always a line of tourists out the door. Honestly! I think if I ever walked by it and there wasn’t a line out the door, I wouldn’t recognize it! From everything I have seen and heard, it’s worth just getting a photo of the storefront and continuing on. In conclusion — avoid the hectic experience, but enjoy the market! Any other tips on visiting Pike Place? Leave them in the comments below.